Debts can be traced back to that time before the barter system. At that time, people exchanged services and goods for other services and goods in return. But, what if there were no current services or goods to be exchanged with, and what if one party failed to supply the goods or services as promised? At that point, the need to recover debt was created. There were various approaches to deal with the debtor in ancient civilizations; from debt slavery in the Sumer, Greek and Roman empires, to the right to summon the debtor to the court according to the relevant laws, which were then in force in many countries in the late Middle Ages. The legal process designed to recover debts is now well regulated. Most money claims are still settled through the Court, judgment and enforcement route with bailiffs often involved in the final stages. The UAE Courts systems have been developed to deal with different types of money claims. It is always a good option to consider the available opportunities to recover your money from debtors before going to the court. Debt collectors can serve legal notices and make phone calls to contact and persuade debtors to repay the money owed. However, the creditor shall keep in mind that the time he might allocate to reach an amicable settlement with the debtor depends on various factors, including the debt age and the debtor’s financial condition. When debt collectors can’t reach the debtor with the contact information provided by the creditor, they look further, conducting private investigations to allow verification as to whether the debtor is still active and whether recovery chances are at best. In addition, it is essential to be aware of the debtor’s solvency status. In case the extra-judicial attempts to recover the debts are not successful, the creditor will have no other available options but to resort to the court to secure the satisfaction of his money. In this case, the creditor can initiate a civil or commercial case, as the case may be, by proceeding with the normal litigation route before the courts and judicial tribunals. Below, we shed some light on the judicial system in the UAE. The UAE’s legal system is a civil law system. The principal sources of civil law are the federal codes promulgated pursuant to Article 121 of the Constitution. Of these, the most important laws are the Civil Transactions Law, the Commercial Transactions Law, the Bankruptcy Law, the Companies Law, the Labour Law and the Civil Procedure Law. The Federal Judiciary comprises the Federal Supreme Court. The Emirates of Abu Dhabi, Ajman, Fujairah, Sharjah and Umm AL Quwain have a Federal court system comprising a Court of First Instance, Court of Appeal and Federal Supreme Court. Dubai and Ras Al Khaimah have kept their own judicial systems and have a Court of Cassation as the highest judicial authority. In the federal system, the Federal Courts of Appeal hear appeals from decisions of the Federal Courts of First Instance. The Federal Supreme Court hears appeals from these Federal Appeal Courts. In contrast, Dubai has its own Court of First Instance, Court of Appeal and Court of Cassation. The Dubai Court of Cassation supervises and acts as an appellate court from the decisions of the Dubai Court of Appeal and applies both Federal laws and the laws of the Emirate of Dubai. Law No. 5 of 1985 regarding civil transactions contains general rules relating to limitation. In general, a claim is time-barred after 15 years, unless a specific provision states otherwise. However, there are many exceptions to the general rule. Several statutes contain limitation periods, depending on the type of dispute. In addition, there are several specific provisions dealing with time bars under Law No. 18 of 1993 regarding commercial procedure. In order to commence a claim pertaining to a civil and commercial dispute the claim first may be referred to a Reconciliation and Settlement Committee, appointed by the Ministry of Justice (Federal Law No. 26 of 1999 regarding establishing reconciliation committees in the Federal Courts). The Committee facilitates settlement and usually hears parties with an attempt to reach settlement. In case the litigants fail to reach settlement before the Reconciliation and Settlement Committee, the claim will have to be filed at the relevant court. All the documents filed at court and the claim itself will need to be in Arabic or translated into Arabic by an official translator. The claim needs to set out the basis of the dispute and the remedies sought. A court fee will also need to be paid. The court’s officials will then serve the claim on the defendant and the first hearing date will be set. If a defendant ignores a claim or cannot be located it is possible to obtain a judgment in the defendant’s absence. After the parties have exchanged pleadings with submissions, the court will reserve the case for judgment and a hearing date will be scheduled for the delivery of judgment. At this stage, no further submissions are accepted. The court will not hear either party further, or allow either party to put forward any new applications or to join a new defendant or to amend the claim’s statement. However, on some very limited occasions, the court may on the application of either party or of its own motion, re-open the hearing of a case to clarify or hear an argument on the issues in the case. It is possible to appeal the judgment of the Court of First Instance in relation to its findings of both fact and law. The Court of Appeal hears the whole matter again and the parties can file further submissions and evidence. The appeal must be filed within 30 days of the date on which the Court of First Instance delivers its judgment. There is a right of further appeal to the Court of Cassation on a point of law, subject to certain monetary limits (among other things). The time limit for filing the appeal is 60 days from the date that judgment is delivered by the Court of Appeal. A judgment cannot be executed by the creditor against the debtor’s assets unless it has become final and is certified by the Execution Court as being good for execution. The execution procedure takes place in a separate department of the court. There are judges specifically assigned to the Execution Court assisted by an Execution Bailiff and administrative staff at the Execution Department to administer the execution and enforcement of judgments and orders. The Executive Judge is in charge of all execution matters as well as any objections thereto. A Court of First Instance Judgment can only be enforced in the event that both parties fail to appeal the judgment within the 30-day time period. 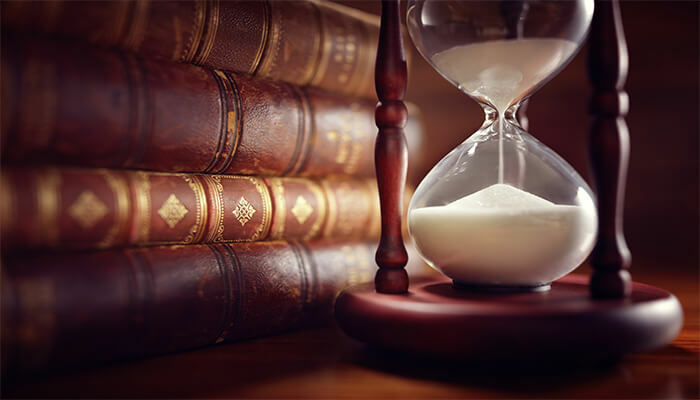 If a party files an appeal within the time limit, the Court of First Instance Judgment is not considered to be final judgment and cannot be enforced. Attachment and sale of the debtor’s property (movables). Attachment of stocks, bonds and shares. Attachment and sale of real estate. Imprisonment of the defaulting debtor. In the UAE, insolvency proceedings begin in the Court of First Instance. After the court issues a judgment, the parties have the right to appeal to the Court of Appeals within 30 days. In the Court of Appeals, the parties are allowed to introduce additional witnesses and evidence to bolster their arguments. The judgment of the Court of Appeals stands unless the parties further appeal to the Court of Cassation within 30 days. Any judgment by the Court of Cassation is final, so creditors should carefully assess the ability of debtors to meet their financial obligations before they proceed with costly litigation. Worth notable that all creditors must submit their claims to the liquidator within 10 days of any published bankruptcy ruling. The liquidator will then rank creditors according to their claims and distribute awards accordingly. The most efficient way to maximize recovery of a debt is to achieve recovery prior to the issue of legal proceedings. Debt collectors know these laws. Hence, they are more capable in dealing with serious cases for their clients. For the debtors, debt recovery is a legitimate business, and many collectors are honest and just trying to do their jobs and will work to create a plan to help you repay your debt, whether that means a payment in full, a series of monthly payments or even a reduced settlement.